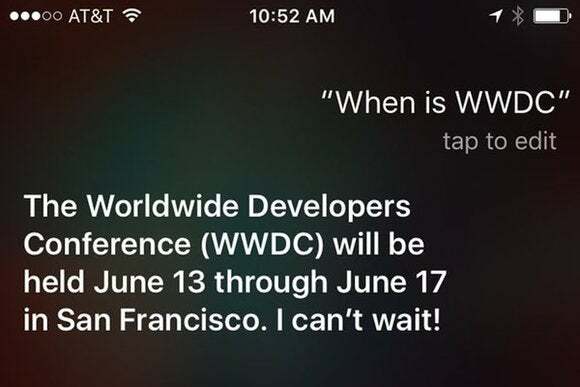 Need to make plans for WWDC? Siri can help. 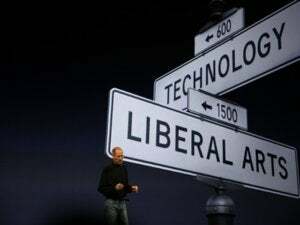 The official dates for Apple’s Worldwide Developers Conference (WWDC) have yet to be formally announced by the company. But if you ask Siri, as Re/code’s Ina Fried did, you’ll find out the dates. Based on the schedule for the Moscone Center, it’s been speculated by the media and others that WWDC would happen the week of June 13, since Moscone West, the place where Apple usually holds WWDC, doesn’t have any events scheduled. 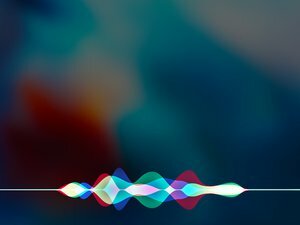 Considering that Apple programs Siri’s responses, this is as good as an official confirmation from corporate communications. While we have the dates and city location, Apple has yet to reveal the details for the WWDC ticket lottery. A limited number of tickets are available, and you must register for the opportunity to buy tickets. If you want to go, you should keep an eye on the Apple Developer website, which has yet to be updated with WWDC 2016 info.